It is said that Carl Theodor Dreyer thought it would be ideal to screen his silent film The Passion of Joan of Arc (1928) without an orchestra or narrator. However, about 70 years later, an artist tried to make the radical expressions in the masterpiece that portrays Joan of Arc as a victim of “the distortion of a divine principle passing between the brains of men named ‘the Government’ or ‘the Church’ or whatever other name you wish” (Antonin Artaud) resonant — the avant-garde blues guitarist Loren Connors, who had already named his own label “St. 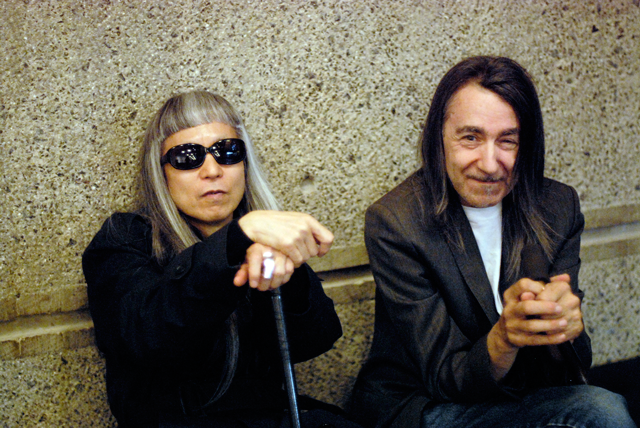 Joan” in the early stage of his activities, worked on the soundtrack of The Passion of Joan of Arc in 2001, and a Blu-Ray/DVD box featuring Connors’ sound and the newest prints digitally restored from the original that was stored in Denmark was released in 2012. Instead of asking Connors, who has been fighting Parkinson’s disease, for a dangerously long travel to Japan, we have him play at the experimental performance center Issue Project Room in Brooklyn, where he is based, screening the film there. 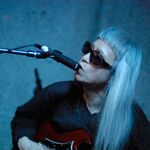 The sound and image are sent to Tokyo via the Internet, and another true avant-garde blues guitarist Keiji Haino responds to the film and Connors’ sound. There should be a slight latency in the synchronization between Brooklyn and Tokyo, but they must be able to “play” even the time difference and latency. What is the Internet for, if not used for this!? To make the synchronization as accurate as possible, the screening will be in a digital format, but we use the 20 frame-per-second version that is closer to the original. Subtitled in Japanese and English. Witness their performance that flows through the Middle Ages and the present, resonates the religious/political and the nucleus of the blues, and delivers “sound” that surpasses the “ideal silence”! Born in New Haven in 1949. Currently lives in Brooklyn. Guitarist, composer and improviser. He has appeared as Loren MazzaCane, Loren Mattei, Guitar Roberts or Loren MazzaCane Connors, and now is called Loren Connors. In his youth he studied violin, trombone, bass and guitar. Influenced by his mother, who often sang J.S. Bach pieces at funerals, he investigated the music of such composers as Puccini and Chopin, but the blues, particularly the works of Robert Pete Williams and Muddy Waters, also appealed to him. He studied art at Southern Connecticut University and the University of Cincinnati, but decided his music was more original than his painting. In the late 70s, he started to release the series of Unaccompanied Acoustic Guitar Improvisations while approaching folk and blues music in his collaborations with Kath Bloom and Tom Hanford. He suspended his musical activities and worked on writings, deepening his thought, from 1984 to 1987 and came back with electric guitar; he established his incomparable guitar music that is full of raw subtlety and strength, using distortion and multi-tracked guitar in his own way and distantly evoking the bottleneck sound of Delta blues. In Pittsburgh (1989) and Hell’s Kitchen Park (1993) among others drew attentions, and he was rediscovered by the underground scene. 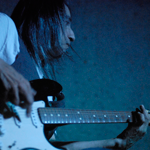 Since then he has released nearly 100 works and been active as a solo artist, a member of his band Haunted House and in collaborations with such artists as Suzanne Langille, Thurston Moore, Jim O’Rourke, Alan Licht, Margarida Garcia and Keiji Haino. Born in 1952 in Chiba. Inspired by Antonin Artaud he aimed for the theatre, but an encounter with The Doors stimulated him into music, where he has examined and absorbed an extremely wide range of music from the early blues especially Blind Lemon Jefferson or European medieval music to popular songs across the world. In 1970 he joined a group “Lost Aaraaf” named after Edgar Allan Poe’s poem as a vocalist. Meanwhile, he started to work on home recordings and self-taught the guitar and percussions. In 1978 he formed a rock band “Fushitsusha” that has opened up a completely new, powerful and profound dimension in hard rock. Since 1988, after a recuperation period from 1983 to 1987, he has been internationally active in various forms including solo, units such as Fushitsusha, Nijiumu, Aihiyo, Seijaku, Vajra, Sanhedrin, Nazoranai or Hardy Soul, DJ as “experimental mixture,” as well as sessions and collaborations with artists from different backgrounds. Drawing performance to the extreme of the guitar, percussions, the hurdy gurdy, diverse wind and string instruments, local instruments from across the world and DJ gears through keen physicality and unique techniques, he delivers incomparable sound that is full of shamanism without transcendency as well as raging intelligence and awareness. He has released more than 170 recordings and performed live at least 1,500 times with countless musicians including Loren Connors, Barre Phillips, Derek Bailey, Lee Konitz, Misha Mengelberg, Rashied Ali, Kang Tae Hwan, Kan Mikami, Kazuki Tomokawa, Motoharu Yoshizawa, Tatsuya Yoshida, Tori Kudo, Reiko Kudo, Chisato Yamada and Gozo Yoshimasu.